WHY SHOULD YOU BUY THIS? Learning a new language is incredibly beneficial. It can help open career opportunities, make traveling abroad a seamless experience, and even improve memory. Plus, you can learn five languages with this app for just $59. The thought of learning a new language can be intimidating. But all the best things in life are a little scary at first. No matter your motivation, the benefits of learning a foreign language are astounding. So, push your fear aside and focus on the good things instead. Here are three major benefits of learning to read, write and speak in a brand new language. 1. It opens new career opportunities. Not only can learning a new language increase your brain power, but it can also increase your bank account. Being multilingual can potentially give you a leg up against other candidates in the job market. With many US job postings gearing more toward bilingual candidates every day, this will only become more advantageous as time goes on. 2. It makes traveling abroad much more enticing — and much easier. Knowing a foreign language basically gives you a reason to hop on a plane and show off your skills. Plus, it makes vacationing, studying, or doing business abroad a much smoother experience. 3. It can improve your memory. Learning a new language, at any age, may improve your critical thinking skills and memory. It’s more than just repetition; it can also make you more mentally alert because you’re paying more attention to non-verbal cues as well. Whether you want to expand your mind for personal or professional reasons and learn a new language, check out the Mondly app. Rather than struggling through a traditional classroom environment only to learn how to ask where the bathroom is, this app is designed to get you speaking a new language fast. 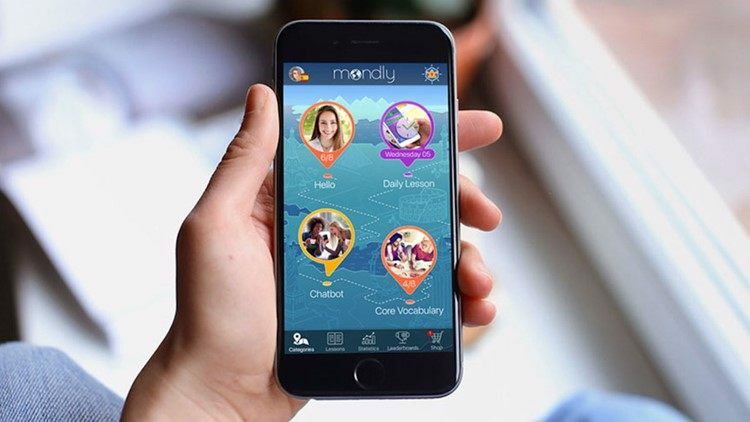 The Mondly app teaches you to read, write, and speak a foreign language of your choice using interactive activities that take just a few minutes a day. The app provides audio of real native speakers to help you nail the pronunciation and allows you to practice conversational skills with an intelligent chatbot. Oh, and if you ever need a refresher, there’s a built-in dictionary and verb conjugator. Take your pick of five languages from a total of 33 options: English, Afrikaans, Arabic, Bulgarian, Croatian, Czech, Danish, Dutch, Finnish, French, German, Greek, Hebrew, Hindi, Hungarian, Indonesian, Italian, Japanese, Korean, Norwegian Bokmål, Persian, Polish, Portuguese, Romanian, Russian, Simplified Chinese, Spanish, Swedish, Turkish, Ukrainian, and Vietnamese. Retailing $1,199.75, a lifetime subscription to Mondly is usually listed on shopdealboss.com for just $70. But for a limited time, the price is down to just $59.